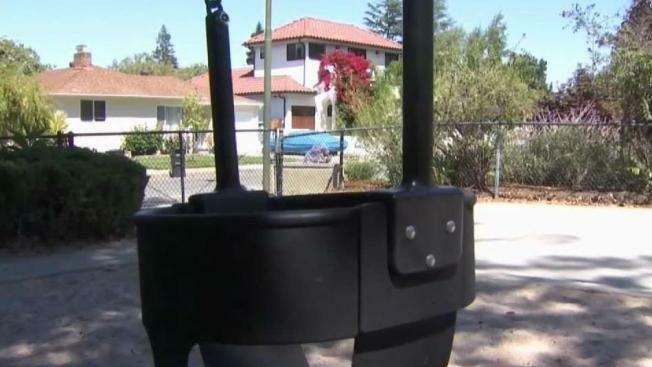 A woman was arrested Thursday after she allegedly attempted to kidnap a toddler in Mountain View. Anoushah Rasta reports. A woman was arrested Thursday after she allegedly attempted to kidnap a toddler in Mountain View. Mountain View Police officers responded to reports of an attempted kidnapping in the 400 block of Fairmont Avenue around 4 p.m. Wednesday. Upon officers' arrival, a woman told them another woman wearing a mask approached her, her daughter, and her grandchild and told them she was there to take the child. As the suspect, identified as 31-year-old transient Schauntel Gomez, reached for the baby, the grandmother intervened and Gomez hit the grandmother in the head and threatened the child’s mother before driving away in a Toyota Camry. An immediate search of the neighborhood was unsuccessful but officers were able to spot Gomez’s vehicle in the Shell gas station parking lot on Rengstorff Avenue and Central Expressway around 2 a.m. the following day. "We conducted something called a high risk traffic stop where we have two officers," said Katie Nelson from MVPD. "We did not know if she had a gun or anything like that. Pull her over and without incident, she was detained and subsequently arrested." Gomez was arrested for attempted kidnapping, criminal threats, battery and possession of drug paraphernalia after officers searched her vehicle after detaining her. "We were moments away from a potential tragedy involving an innocent child, and an at-large suspect capable such a heinous act was very concerning," said Chief Max Bosel. "I’m incredibly thankful that the child was not hurt, that the mother quickly notified us, and I am very proud of the teamwork and tenacity of Mountain View’s patrol officers and detectives that led to this case being resolved within hours of its report."